If the Husband's Rasi (Moon Sign) is 6 or 8 places away from the Wife's Rasi (Moon Sign) or vice versa, then the Couple gets affected by the "Sastanga Dosha". This would create a difference of opinion between the couples that would put them in a diametrically opposite position on every issues. 1. The Couple's views always travel in the opposite direction and there will not be convergence of their views. 2. The Couple often disagree on every issues starting from a petty issue to the issues that are utmost important in their life. 3. The Couple often criticize one another on every issues. They would also criticize their life partner in the public. 4. The Couple often squabble and stand united on their disagreements on their partner. 5. The Couple would place their dissatisfaction about their marital life in a open and brazen manner, even after living together for longer years. How to identify "Sastanga Dosha?" Below is the table, that demonstrate the "Sastanga Dosha"
From this table, you must find out whether you have "Sastanga Dosham". How do you fight with your life partner? Problems between the Couples always starts from arguments, developing divergent opinions and having diametrically opposite views. These differences later involving into verbal abuse and sometimes leading to physical torture. Let us see the planetary position that draws the Couples into arguement mode or even towards a fighting mode. 1. The Parivarthana Yoga (interchange of houses between 6th & 7th house lords) in the horoscope or the combination of 6th & 7th house lords and getting placed in any houses. 2. The Couples getting affected by the "Sastanga Dosha". 3. The problems becomes very acute, if the horoscopes of the both the Couple denote this dosha. 4. The fight escalates to worrisome level if any one of the couple or both passes through 2nd & 7th house lord's Mahadasa or Antardasa periods. 5. The fight moves towars the litigations, if any one of the couple or both passes through 6th or 8th Mahadasa or Antardasa periods. 6. The Couples do not break their relationship and remain united despite their serious differences, if their 2nd & 7th house lord remain stronger and placed in the benefice houses. 7. The Couple end their marital life, if any of their horoscope has a weak 2nd or 7th house. Let us see the details on the Rasi Porutham for Makara Rasi (Capricorn sign). The correct Rasi Porutham assures the complete peacefulness and happiness between the married Couples. If there is no proper Rasi Porutham between the Couples, then Couples would always quarrel among themselves. In the worst case, it could even lead to the divorce or separation of Couples. Thus the Rasi Porutham assumes important place in a happier family. For Women: Given below details are meant for females born with Makara Rasi (Capricorn sign) only. For Men: This details are meant for males, whose wife's Rasi is Makara (Capricorn sign). Best Rasi Porutham: Katakam (Cancer), Kanni (Virgo), Viruchika (Scorpio), Dhanusu (Sagittarius), Makara (Capricorn) and Thula (Libra). Average Rasi Porutham: Meena (Pisces) and Mesha (Aries). Worst Rasi Porutham: Simha (Leo). Let us see the details on the Rasi Porutham for Dhanusu Rasi (Sagittarius sign). The correct Rasi Porutham assures the complete peacefulness and happiness between the married Couples. If there is no proper Rasi Porutham between the Couples, then Couples would always quarrel among themselves. In the worst case, it could even lead to the divorce or separation of Couples. Thus the Rasi Porutham assumes important place in a happier family. For Women: Given below details are meant for females born with Dhanusu Rasi (Sagittarius sign) only. For Men: This details are meant for males, whose wife's Rasi is Dhanusu (Sagittarius sign). Best Rasi Porutham: Simham (Leo), Mithuna (Gemini), Kanni (Virgo), Dhanusu (Sagittarius), Viruchika (Scorpio) and Thula (Libra). Average Rasi Porutham: Meenam (Pisces) and Makaram (Capricorn). Bad Rasi Porutham: Makaram (Capricorn), Mesha (Aries) and Rishaba (Taurus). Worst Rasi Porutham: Kataka (Cancer). Let us see the details on the Rasi Porutham for Viruchika Rasi (Scorpio sign). The correct Rasi Porutham assures the complete peacefulness and happiness between the married Couples. If there is no proper Rasi Porutham between the Couples, then Couples would always quarrel among themselves. In the worst case, it could even lead to the divorce or separation of Couples. Thus the Rasi Porutham assumes important place in a happier family. For Women: Given below details are meant for females born with Viruchika Rasi (Scorpio sign) only. For Men: This details are meant for males, whose wife's Rasi is Viruchika (Scorpio sign). Best Rasi Porutham: Katakam (Cancer), Simham (Leo), Kanni (Virgo), Viruchika (Scorpio), Rishabam (Taurus) and Thula (Libra). Average Rasi Porutham: Kumbham (Aquarius) and Makaram (Capricorn). Bad Rasi Porutham: Dhanusu (Sagittarius), Mesham (Aries) and Meenam (Pisces). 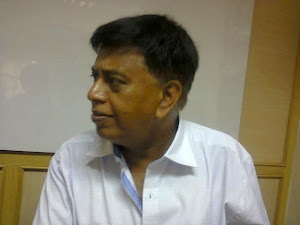 Worst Rasi Porutham: Mithunam (Gemini). Let us see the details on the Rasi Porutham for Kanni Rasi (Virgo sign). The correct Rasi Porutham assures the complete peacefulness and happiness between the married Couples. If there is no proper Rasi Porutham between the Couples, then Couples would always quarrel among themselves. In the worst case, it could even lead to the divorce or separation of Couples. Thus the Rasi Porutham assumes important place in a happier family. For Women: Given below details are meant for females born with Kanni Rasi (Virgo sign) only. For Men: This details are meant for males, whose wife's Rasi is Virgo (Virgo sign). Best Rasi Porutham: Katakam (Cancer), Simham (Leo), Kanni (Virgo), Meenam (Pisces), Rishabam (Taurus) and Mithunam (Gemini). Average Rasi Porutham: Viruchika (Scorpio) and Dhanusu (Sagittarius). Bad Rasi Porutham: Thulam (Libra), Makaram (Capricorn) and Kumbham (Aquarius). Worst Rasi Porutham: Mesham (Aries). Let us see the details on the Rasi Porutham for Simha Rasi (Leo sign). The correct Rasi Porutham assures the complete peacefulness and happiness between the married Couples. If there is no proper Rasi Porutham between the Couples, then Couples would always quarrel among themselves. In the worst case, it could even lead to the divorce or separation of Couples. Thus the Rasi Porutham assumes important place in a happier family. For Women: Given below details are meant for females born with Simha Rasi (Leo sign) only. For Men: This details are meant for males, whose wife's Rasi is Simha (Leo sign). Best Rasi Porutham: Katakam (Cancer), Simham (Leo), Kumbham (Aquarius), Mesham (Aries), Rishabam (Taurus) and Mithunam (Gemini). Worst Rasi Porutham: Meenam (Pisces). Let us see the details on the Rasi Porutham for Kataka Rasi (Cancer sign). The correct Rasi Porutham assures the complete peacefulness and happiness between the married Couples. If there is no proper Rasi Porutham between the Couples, then Couples would always quarrel among themselves. In the worst case, it could even lead to the divorce or separation of Couples. Thus the Rasi Porutham assumes important place in a happier family. For Women: Given below details are meant for females born with Kataka Rasi (Cancer sign) only. For Men: This details are meant for males, whose wife's Rasi is Kataka (Cancer sign). Best Rasi Porutham: Katakam (Cancer), Makaram (Capricorn), Meenam (Pisces), Mesham (Aries), Rishabam (Taurus) and Mithunam (Gemini). Worst Rasi Porutham: Kumbham (Aquarius). Let us see the details on the Rasi Porutham for Mithuna Rasi (Gemini sign). The correct Rasi Porutham assures the complete peacefulness and happiness between the married Couples. If there is no proper Rasi Porutham between the Couples, then Couples would always quarrel among themselves. In the worst case, it could even lead to the divorce or separation of Couples. Thus the Rasi Porutham assumes important place in a happier family. For Women: Given below details are meant for females born with Mithuna Rasi (Gemini sign) only. For Men: This details are meant for males, whose wife's Rasi is Mithunam (Gemini sign). Bad Rasi Porutham: Kataka (Cancer), Thulam (Libra) and Viruchika (Scorpio). Worst Rasi Porutham: Makaram (Capricorn). 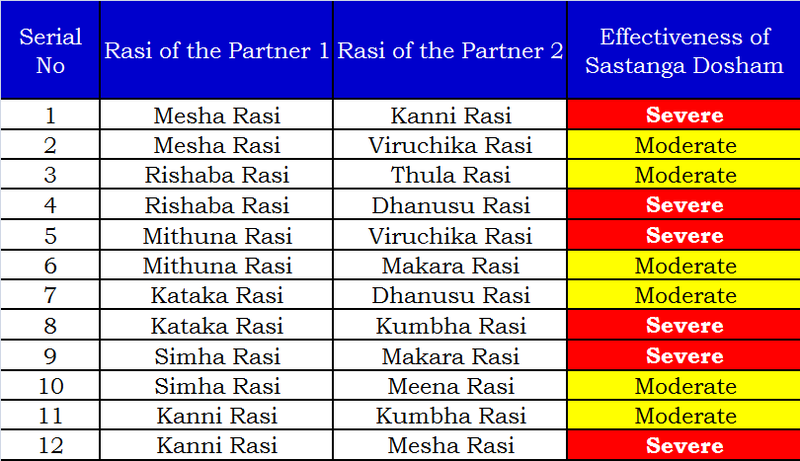 Let us see the details on the Rasi Porutham for Rishaba Rasi (Taurus sign). The correct Rasi Porutham assures the complete peacefulness and happiness between the married Couples. If there is no proper Rasi Porutham between the Couples, then Couples would always quarrel among themselves. In the worst case, it could even lead to the divorce or separation of Couples. Thus the Rasi Porutham assumes important place in a happier family. For Women: Given below details are meant for females born with Rishaba Rasi (Taurus sign) only. For Men: This details are meant for males, whose wife's Rasi is Rishabam (Taurus sign). Bad Rasi Porutham: Mithunam (Gemini), Kanni (Virgo) and Thulam (Libra). Let us see the details on the Rasi Porutham for Mesha Rasi (Aries sign). The correct Rasi Porutham assures the complete peacefulness and happiness between the married Couples. If there is no proper Rasi Porutham between the Couples, then Couples would always quarrel among themselves. In the worst case, it could even lead to the divorce or separation of Couples. Thus the Rasi Porutham assumes important place in a happier family. For Women: Given below details are meant for females born with Mesha Rasi (Aries sign) only. For Men: This details are meant for males, whose wife's Rasi is Mesham (Aries sign). Best Rasi Porutham: Mesham (Aries), Thulam (Libra), Dhanusu (Sagittarius), Makaram (Capricorn), Kumbam (Aquarius) and Meenam (Pisces). Average Rasi Porutham: Mithunam (Gemini) and (Katakam ) Cancer. Bad Rasi Porutham: Rishabam (Taurus), Simham (Leo) and Kanni (Virgo). Worst Rasi Porutham: Viruchika (Scorpio). The Word "Rasi" means the Moon sign only. The Rasi is the type of Zodiac sign, where the Moon had been placed in the Natal chart. The female's Rasi (Zodiac Sign) has been taken as the first house. The results are based on the placement of male's Rasi (Zodiac sign) counted from the female's Rasi. 1. If the male's Rasi is placed in the 7th, 9th, 10th, 11th and 12th house from the female's sign, then the Rasi Porutham can be rated as the "Best". 2. If the male's Rasi is placed in the 3rd and 4th Rasi of the female's Rasi, then the Rasi Porutham can be rated as "Average". 3. If the male's Rasi is placed in the 2nd and 5th house from the female's Rasi, then the Rasi Porutham can be rated as "Not Satisfactory". 4. If the male's Rasi is placed in the 6th and 8th house from the female's Rasi, then the Rasi Porutham can be rated as "Bad". 5. If the Rasi's of both the male and the female are same, then the Rasi Porutham is rated as "Good", provided the Male's Naksthara must precede the female's Naksthara. 1. The Couples might quarrel among themselves on a regular basis. 2. The Couples could pick up fight with their in-laws. 3. There could be severe damages on the relationship between the Couple's parents. 4. The Couple may not be successful in bringing up their off-springs. 5. The Couple may opt for a divorce; the couple's could fight themselves to the finish. Thus if there is no Rasi Porutham, then the Couple might spend their most of the life time fighting with each other. For a peaceful and happy married life, this Rasi Porutham is an absolute necessary.